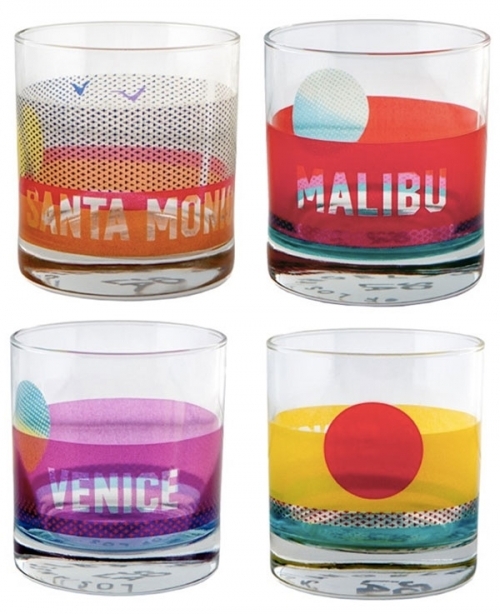 With only a few days left to fulfill your friends and families’ wish lists, check out these original beach-inspired gift ideas. If you’re done with all your holiday shopping and you’ve been nice (and not naughty), go on and get a little something for yourself. You deserve it. 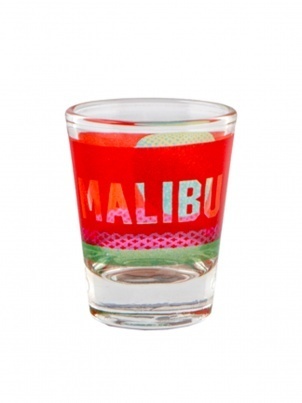 For the stylish party animal, the Beach Set glasses courtesy of Sisters of LA and available from Kitson. 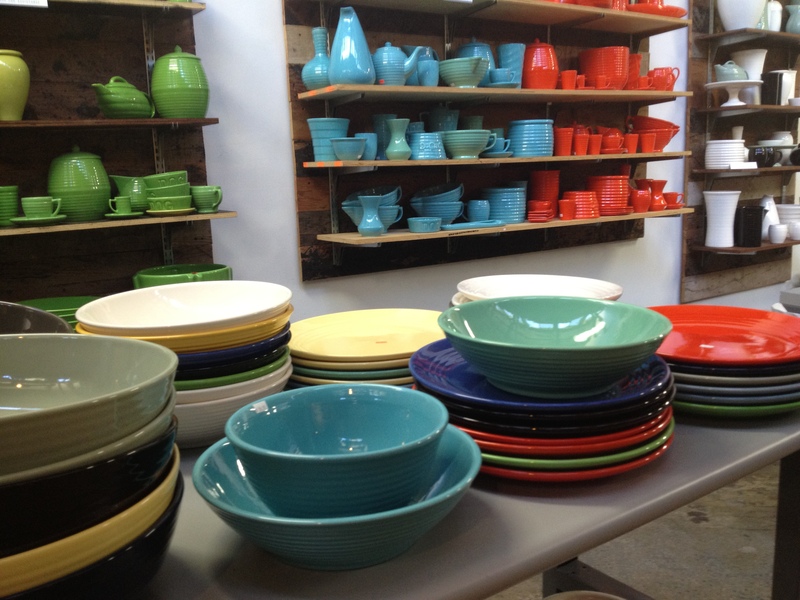 For the retro/modern collector, how about some bright-colored dinner or serveware from Bauer Pottery (who happens to be having its incredible end-of-year holiday sale going on right now). 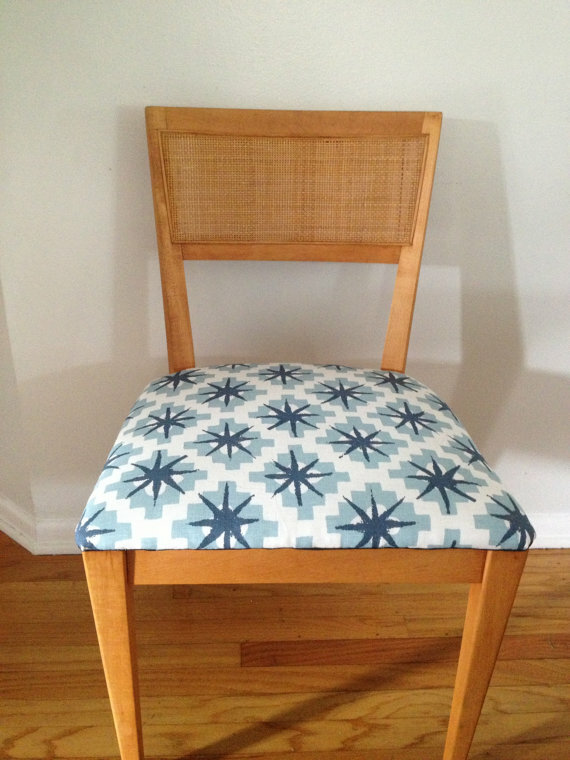 If you’re looking to upgrade the home office, consider this vintage cane chair reupholstered in Hollywood at Home owner and designer Peter Dunham’s Starburst fabric as a good start. 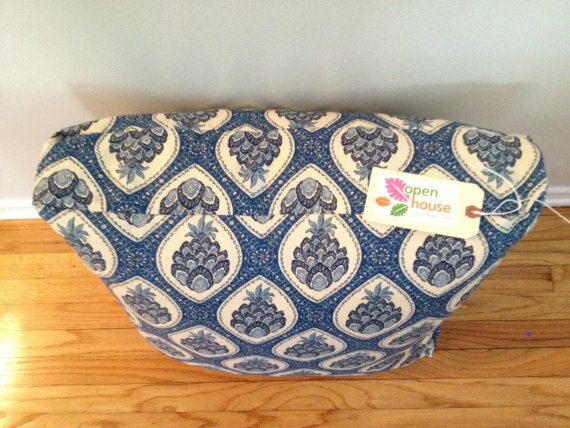 If your plan is to spend the holidays lounging around the house watching movies or trying your hand at the kids’ Wii, check out this original floor pillow in a navy tropical pineapple pattern. 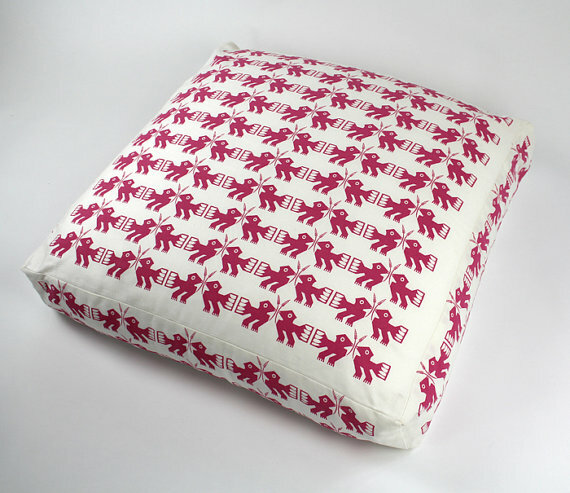 A giant bean bag or two covered in these adorable Aztec birds would be a great addition to a little girl’s room. You can never go wrong with original art. 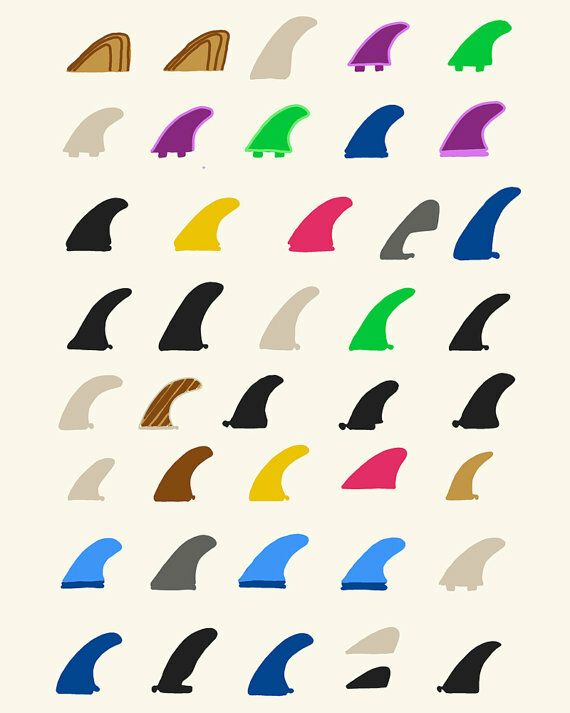 Especially if it’s from San Francisco-based fine artist Jorey Hurley who has a collection of outdoor-inspired digital prints like her Surfboard Fins just waiting for a new home. 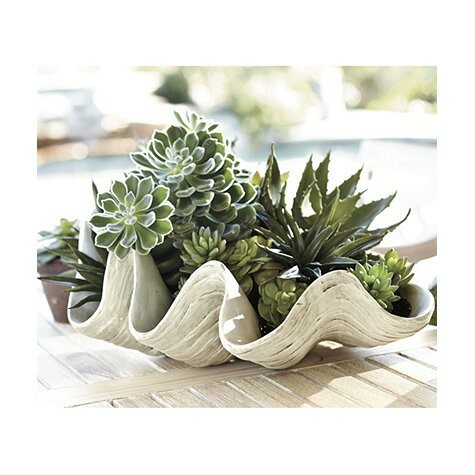 For the nature lover, this giant clamshell makes a creative gift when filled to the brim with small, strategically placed succulents. 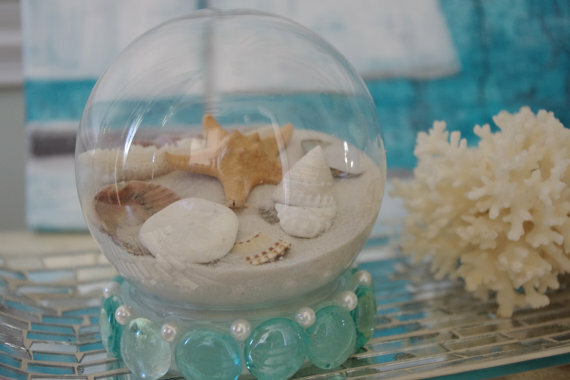 If you can’t make it to the beach this Christmas, at least you can pretend with this shell-filled beach globe. 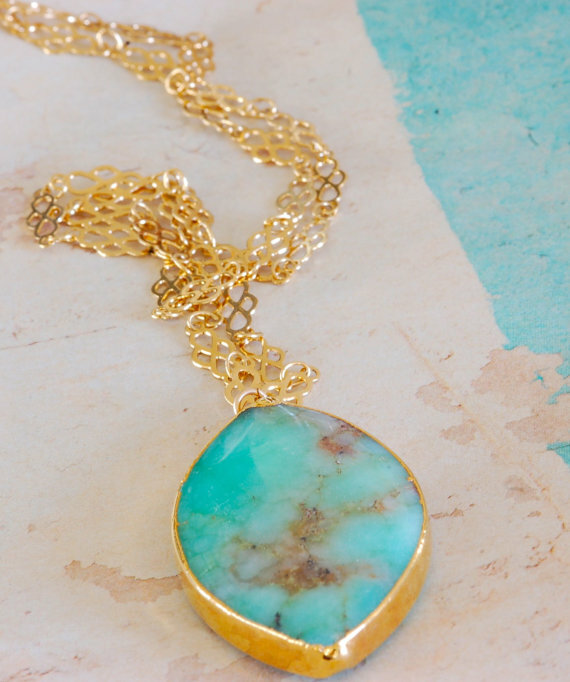 If jewelry is on her list (and it always is), this stunning deep aqua green chrysoprase pendant from Southern California native Susan Tyssee of Charmed Jewelry will more than satisfy. 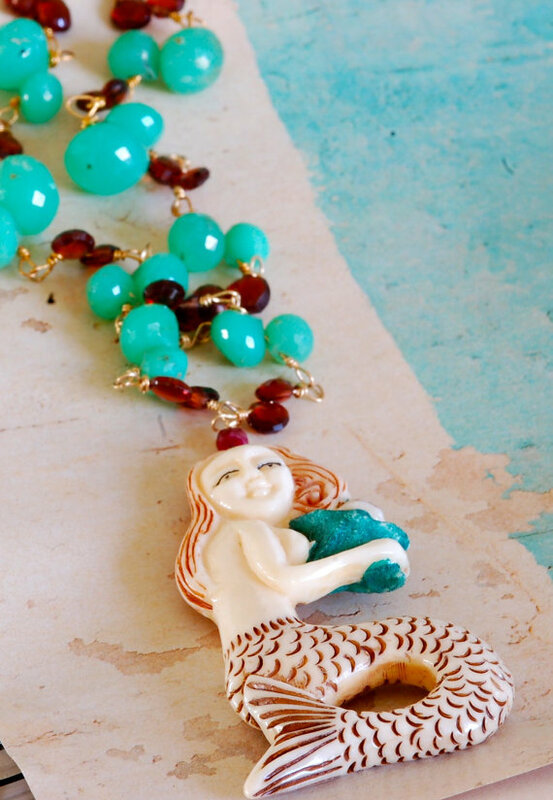 This whimsical mermaid on a string infused with garnets, also from Charmed, will definitely make someone’s day. Make sure you wrap your gifts up nicely. 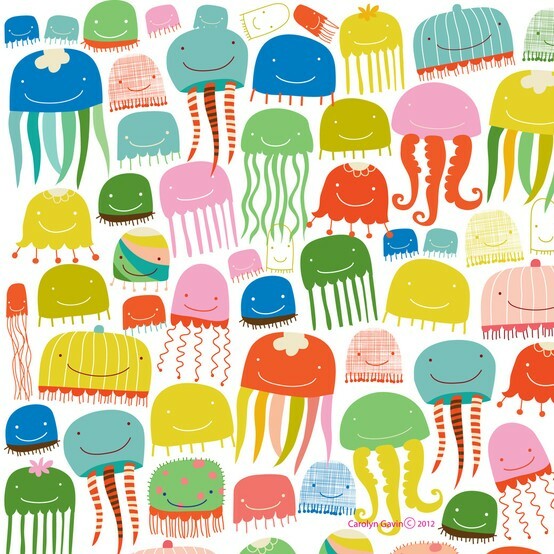 Ecojot’s festive jellyfish wrap would do the trick. 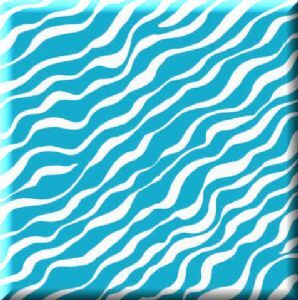 Even though this adorable wrapping paper is described as zebra print, it could certainly pass as waves. 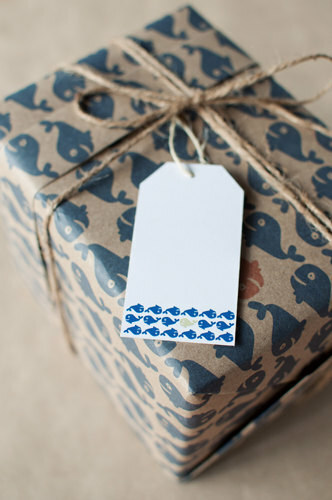 Be sure to top your hand-selected, precious gifts off with a personal gift tag like this “whale of a tale” card with matching wrapping paper from New Zealand’s Toodles Noodles. May your holidays be as peaceful as the ocean on a calm day and warm and bright as the summer sun.